Finally, it happened! Today, at IFA 2017 in Berlin, the Xperia XZ1 launch took place. Let’s find out its specs and features which captivated us the most. Let’s recall the day when Sony Xperia XZ emerged as the best smartphone of the year 2016. And now, we hope that the trend continues to persist. 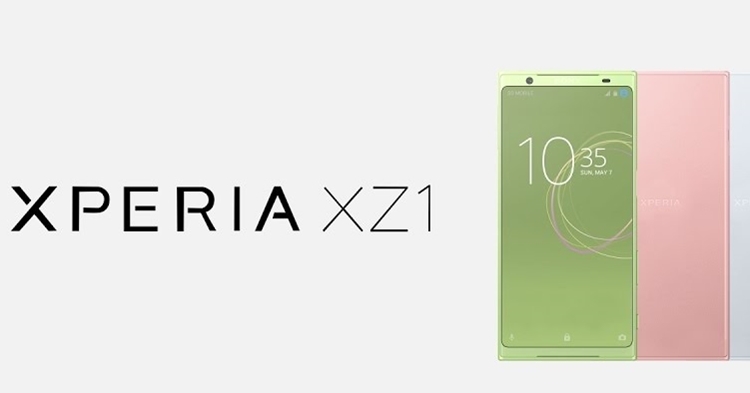 With the Xperia XZ1 launch at grand IFA 2017 event, Sony has introduced many refreshing changes to the smartphone. Having a metallic body with glass on the front, the smartphone features a 5.2-inch full HD display supported by Gorilla Glass 5. The phone comes with Motion Eye camera system, the feature we saw in Xperia XZ Premium and Xperia XZ. The rear camera of 19MP has an Exmor RS sensor with predictive capture, and it can capture slow motion videos at 960 frames per second. This reminds me of Sony’s former model, Xperia XZs that flawlessly captured the slow motion video. The provision of 4k recording and f/2.3 aperture in XZ1 Compact are a plus! The front camera has an amazing 13MP sensor with an aperture of f/2.2 and a 22mm wide angle lens. Though the display is not 4k, it showcases HDR support, 138% sRGB coverage along with a bunch of Sony’s innovative technologies such as TRILUMINOUS and X-reality unit. It runs on powerful Snapdragon 835 processor and supports 4GB RAM and 64GB internal storage which is expandable via microSD card. One of the unique features of Xperia XZ1 includes its 3D scanning mode. With its rear camera, the user can scan anything and save it as an image in 3D version. Share it on social media platforms, or take a fine print out from a 3D printer. For a balanced stereo sound, Sony has brought S-Force Front Surround setup in the smartphone. Also, it has introduced some exclusive technologies such as Clear Audio + and DSEE HX with this gadget. Power-packed with 2,700 mAh battery, the phone bears the impressive features of Qnovo Adaptive charging and Quick Charge 3.0 support. However, its small battery may be a little disappointment for the ones who were expecting it to be at par with XZ Premium. Some other features of the gadget include Bluetooth 5.0, USB Type-C port, 4G LTE, VoLTE, NFC, Dual-band MIMO Wi-Fi a/c, a 3.5mm headphone jack and USB 3.1. Tell us how you found this latest scoop from Xperia XZ1 launch at IFA 2017.